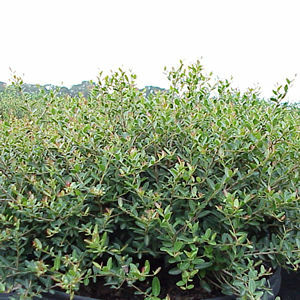 The Dwarf Yaupon Holly is a small evergreen shrub that has a refine and attractive look, it can get 5 feet in height and 8-10 feet in width. Dwarf Yaupon can be very formal when sheared, or a small mound if not. Often this shrub is seen as little “meatballs” in the landscape. Produces inconspicuous scarlet-red berries.